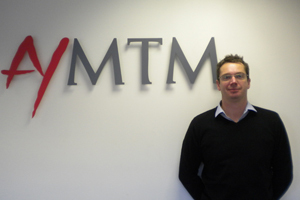 AYMTM has appointed former Satellite Automotive director Graham James as sales and marketing director. James’ 15 years experience in the performance improvement industry has seen him oversee successful campaigns in channel communications, motivation, live events, customer loyalty, sales promotion, incentives, and travel. Prior to Satellite Automotive, he has previously held roles at Carlson Marketing, P&MM and the THA Group. James said: "I am delighted to be working with such a dynamic team who are all focused on delivering excellence and helping the agency grow." AYMTM plans to recruit further new employees in 2011.